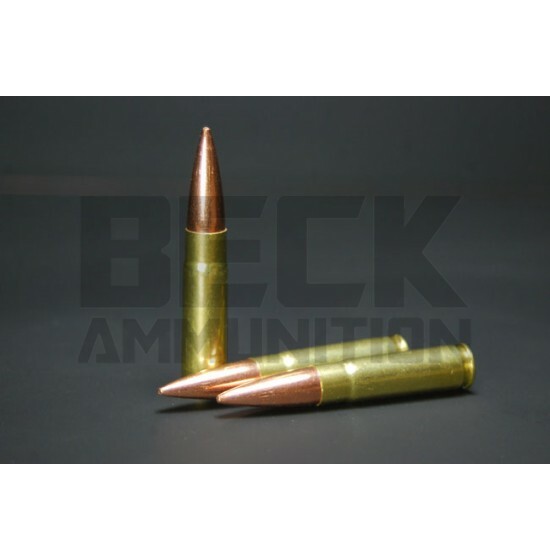 Beck Ammunition Silent Operator™ series is engineered to run at Subsonic Velocities (just below the speed of sound) and to be shot with a sound suppressor. This 300 AAC Blackout ammunition features a Sierra 220gr Open Tip Match projectile that is accurate, even at the lower velocity. It’s a heavyweight bullet, because let’s face it ,if you are limited by velocity, you may as well shoot the most weight and mass possible at your intended target. This 300 AAC Blackout ammunition is designed for 16” barrels, but also shoots great down to a 9” barrel with a suppressor.